Last year was the year in which the Battle Royale genre of games rose to fame. Games such as PUBG Mobile and Fortnite for Android and iOS took over the world and got kids as well as adults hooked onto their mobile devices. Currently, PUBG Mobile has amassed a massive fan following in several nations the game can even be played on budget devices such as the Xiaomi Mi A1 and the Redmi Note 4 as well. 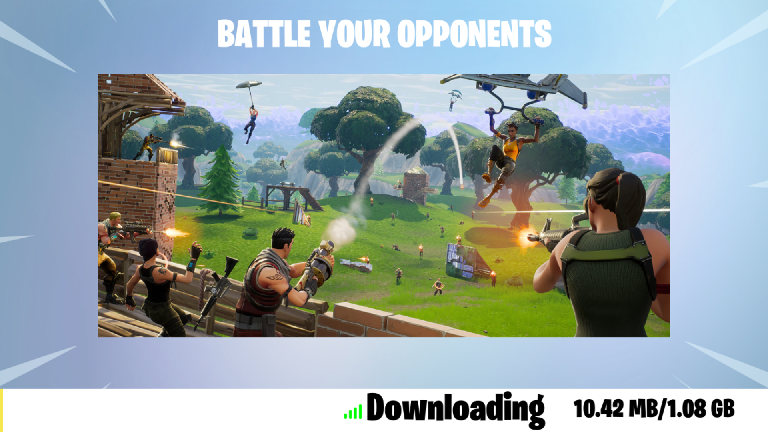 Fortnite was released on Android much later than its launch on iOS which is why most users tried out PUBG Mobile and are now true fans of the game; however, there are several other battle royale games on Android that came before PUBG Mobile or Fortnite came to mobile devices. So let’s check out the best battle royale games currently available in Android. Without a doubt, PUBG Mobile is one of the best battle royale games available on Android as of now. The game offers you the ability to jump with 100 other players from around the world and engage in an epic battle to win the title “Winner Winner Chicken Dinner”. There are several different guns to choose from and you could also pick up items such as the ‘Frying Pan’ which can be used to deflect bullets and whack enemies with. The game is often updated with new items and maps hence you’d never get bored playing the game. You could also group up with your squad and use the in-game voice chat to communicate amongst yourself or can even talk to other players in your team which is pretty good. Fortnite was released on Android with the launch of the Samsung Galaxy Note 9 and was exclusively available on the latest Galaxy flagship devices for a while; however, the game has since been available for Android users on multiple devices. Players can build structures, shoot, fly around, drive vehicles and even destroy objects and buildings. More importantly, the game is super stable and does not have many annoying bugs which, unfortunately, isn’t the case with PUBG Mobile. The gameplay is super fun and is quite different to the gameplay experience you would get while playing any other battle royale game on the list. The only downside to the game is that it isn’t available on the Google Play Store, instead, you’d have to download it via the Fortnite Android website or the Samsung Galaxy App Store. Now here’s a game that was one of the most popular battle royale games on mobile before the launch of PUBG Mobile. Free Fire is a great survival shooter for Android where you need to survive till the last to win the game. You need to be within the play zone to avoid losing health and eventually dying. Each game lasts about 10 minutes which means you’d be in a gunfight more often than not. You could also team up in a 4 member squad and use the in-game voice chat to discuss strategies to take out enemies. RULES OF SURVIVAL was the king of battle royale games on mobile before the release of PUBG Mobile; however, this does not mean that the game does not take away the fact that the game is still an excellent game. This is the only battle royale game that pits around 300 players against each other which results in an epic battle to see who’s got what it takes to be the last man standing. The graphics of the game are pretty decent and the gameplay is quite intense as well. CrossFire: Legends is another fantastic game developed by Tencent. There’s so much more to the game than your traditional battle royale games. The game has a few different modes such as; Team Deathmatch, Mutant mode, Battle Royale mode. You could play the BR mode in a solo, duo or in a squad as well. The game has a great selection of weapons and the graphics do indeed resemble those of PUBG Mobile. Knives Out was the top earning game on mobile and even grossed more than PUBG Mobile and Fortnite. The game is extremely popular in Japan; however, you could download and play the game from anywhere in the world. 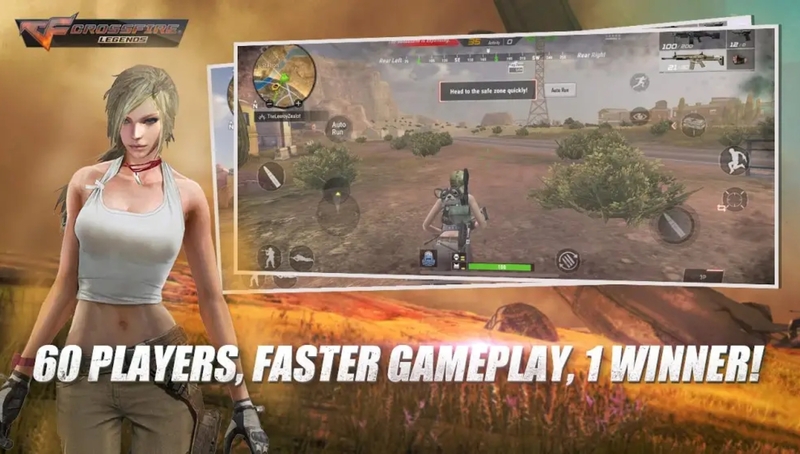 The game offers a similar experience to that of PUBG Mobile and you could play in a solo, duo or squad mode as well and use the in-game voice chat to communicate with your team. All you need to do is survive to the end to win the game. 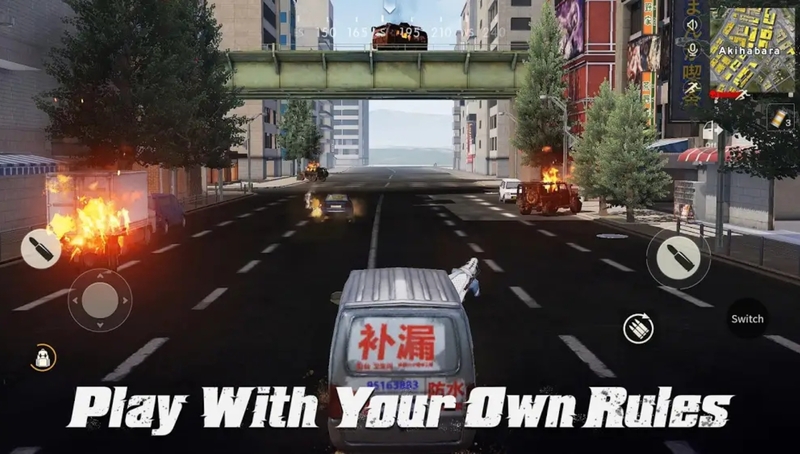 Players can also drive vehicles and shoot at enemies from within the vehicle. Well, here’s a game you probably haven’t heard of. PIXEL’S UNKNOWN BATTLE GROUND is an extremely casual battle royale game and is perfect for those who aren’t looking for an intense game such as PUBG where you have to be alert most of the time. The game’s graphics are blocky and cartoonish and don’t even intend to be on power with the graphics in games such as PUBG or Fortnite. You need to find weapons and eliminate enemies and you could also drive around in a vehicle as well. There’s even an auto-fire feature so you wouldn’t need to worry about the controls as well which are pretty simple. 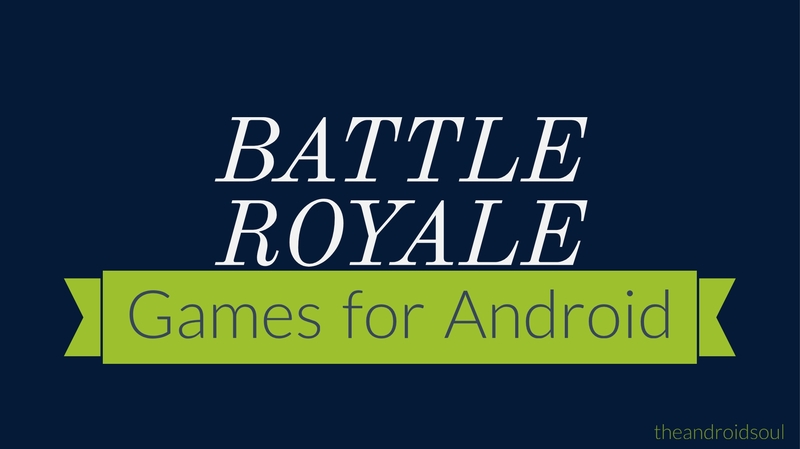 What’s your favorite Battle Royale game on Android? Let us know in the comments below.